Ah, Sunday! Despite having to go and find some bathroom tiles today, I have the luxury of spending the day finding a long and happily-lived woman who had a jolly and fulfilled life and did a bit of modelling. 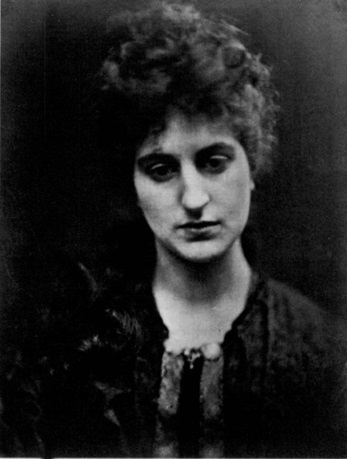 The surname will no doubt be familiar to everyone, and Christina was of course sister of Marie, artist and fellow victim of Julia Margaret Cameron. When writing Girl Gang I did wonder why, when Marie Spartali and her cousins all became involved in the art world, why Christina didn't. What did Christina do? Begun possibly as a portrait of Christina, her father refused to buy it when it was finished, but Whistler exhibited it as a portrait of 'Miss S-' knowing that the viewers would be able to recognise Christina. 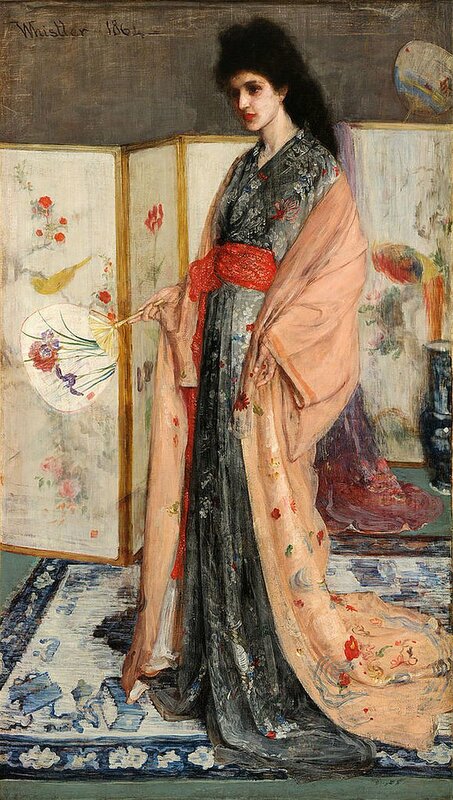 As I wrote in this post about Rosa Corder, Whistler was not the most humane artist to pose for and his treatment of Christina was no better, making her stand for hours on end while he painted and repainted the same piece of canvas. 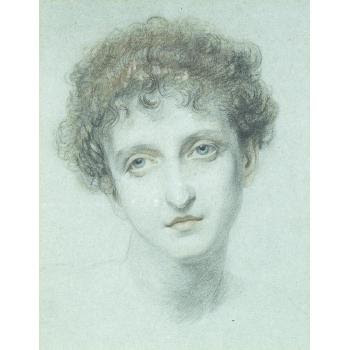 Marie Spartali told Whistler biographers Elizabeth Robins Pennell and Joseph Pennell that her sister posed for hours in a semi-darkened room until she became ill (possibly from peritonitis). Another model stepped in to model the gown while Christina recovered and Whistler would visit her as she convalesced to draw her face. As this experience pre-dates the photographs by Mrs Cameron, it is possible to see why Christina would not be overly keen to do anymore modelling. The Spartali parents were very concerned with possible suitors for their daughters, or rather keeping them away. It is very well documented that they did not approve of William Stillman when Marie married him, but even the wealthy and titled Count Eduard Joseph Cahen D'Anvers, a Jewish banker from Belgium, was not good enough for their daughter. He ran the family business head office in Paris, and it was there that he and Christina eloped in December of 1868. He had been given the title of Marquis di Torre Alfina, so Christina found herself Countess Cahen d'Anvers, society hostess in Paris. In the British newspaper there are a flurry of interested pieces about how society in Paris conducted itself and Christina, at their house at the Bergeries entertained for the summer season. When the French parliament went into recess, a comite de permanence (the once who got to stay behind and make sure nothing happened) were amused by what the Yorkshire Post referred to as 'Parliamentary belles', which included Christina. It is uncertain when or why Christina started to use chloral. 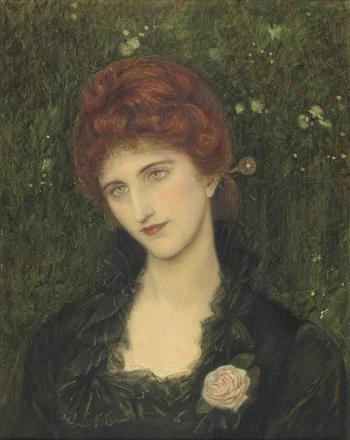 Dante Gabriel Rossetti's habit was allegedly started via William Stillman, so possibly it was from her brother-in-law that Christina first acquired the pain killer, but she sadly fell victim to its addictive qualities. 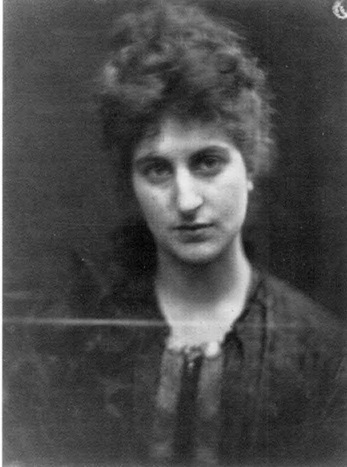 Marie Stillman was sent out to Paris to help her sister, who was prone to illness (possibly due to the chloral) and according to Angela Thirlwell's excellent book on Ford Madox Brown, Marie found her brother-in-law lacklustre company. Possibly, boredom drove Christina's addiction, possibly the acknowledgement that she had escaped over-protective parents only to find herself in a highly gilded cage, far away from friends and family. Poor Christina's life now seems a little devoid of detail, all we have are the parties she held and the few pictures she posed for, unhappily. A son, Rudolfo was born, possibly around 1871, when Christina was so ill that a reconciliation with her parents occurred. I am grateful to David Elliott for including a little more about her in his biography of the Stillmans, if it is only to do with her final years. In 1880, the Spartali's cousin Aglaia Coronio wrote to Rossetti asking if he had that Christina was seeking a divorce from 'that horrible little Jew, her husband' to which Rossetti (who also wasn't a fan) replied 'I should judge it high time'. However, that divorce was not to be and the entertaining continued until 1884 when Christina died. 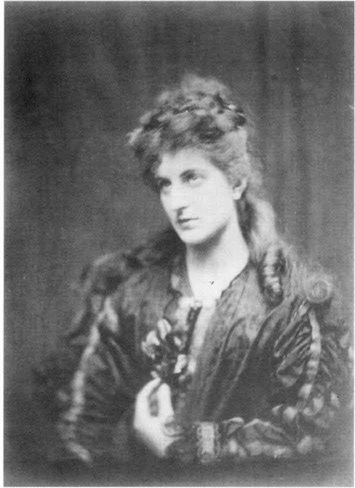 Most sources list her death as from 'unexplained' causes, and William Michael Rossetti referred to it being of a 'cataleptical' nature. While there was a rumour that she had died in childbirth, Elliott's account tells of an overdose (accidental or otherwise) of chloral, discreetly covered up by family and friends. Her body was brought home and buried at the Greek Cemetery in West Norwood, reunited with her family again. Interestingly, while reading the details in the newspapers of Count Eduardo's will after his death in 1894, he left money to his sister-in-law, which leads me to wonder if they mean Marie Stillman. If so, he obviously had a better opinion of her then she had of him.